I had lots of friends there in that neighborhood we'd moved to when I was 3. It was the perfect place for young families. There were always kids running around, playgrounds sprinkled in and between every open area. In the summer we'd spend hours on the teeter totter or sliding down that huge hot metal slide. We had slip n slides, pools, sprinklers, and sandboxes. We ate popsicles until our tongues were an assortment of colors and we ran, and ran, and ran. In the winter we'd put on our 3 warmest pairs of socks, stuff our huge feet in a sandwich bag for protection against wet snow, and then somehow manage to shove our feet in our boots. Then we'd trudge down to the "bowl" a park set in the middle of all the town houses that had hills on all sides making it the shape of a bowl - hence the name. We'd sled down the hill and run back up, sled down and repeat. We'd do this for hours. The snow would become slick and the sledding would get faster and faster. We'd come home rosy and happy and my mom would make us hot chocolate. Over the years as families moved in and out I had a plethora of friends. Kids from homeschooled families, kids who went to public school, kids who had 4 siblings, kids who had 1. I had my first best friend there, my first crush, my first nemesis, and some run-ins with bullies. It was an eclectic mix of people and a great place to learn the ropes. One by one all the friends I'd known moved away until the only one left was Grandma Weezie - a 70 year old widow. I had spent some time over at her house before. 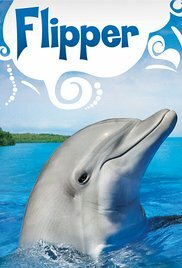 Her husband Ray watched Flipper during the afternoons and my parents had said that if it was ok with them I could watch it with him. After the show was over Weezie would send me home so she could watch her "soaps" (soap operas). Ray passed away right around the time most of my friends moved. Both Weezie and I were lonely for a friend, and so somehow a friendship was formed between the two of us. Weezie put on a good act of being the grouchy old lady next door, but really she was just honest, and wonderfully sweet. I remember once after looking over her decorations for the millionth time eyeing a porcelain horse on a low shelf on a side table that I'd always thought was pretty. I had always loved horses and even had a little collection of my own. Well, I worked up the gumption and said, "I really like this horse. May I have it?" to which she replied, "You shouldn't ask people for their belongings. It's rude." I was ashamed (I should have been, as she was right) and abashedly stood up. Grandma Weezie had the most interesting things in and around her house. I was ever fascinated with her magnet collection that covered the entire top portion of her refrigerator. It was comprised of magnets from every state and place you could imagine. Every time her kids would go on vacation they'd buy her a magnet to add to the already copious number of magnets she had. It was always fun to see a new one on her fridge. She didn't use them to hold any papers or receipts on her fridge, just to decorate it. She was Catholic and had framed pictures of Jesus and Mary all over her house. Here and there was a crucifix or a rosary. She didn't speak much about it, but she was devout. She had a chalkboard next to her back door. It wasn't big, just about the size of a normal sheet of paper. She'd let me draw pictures or write messages on it, as long as there wasn't already a picture drawn by one of her granddaughters. Most of the time I spent at Weezie's house was spent at the small table in her kitchen. She'd sit there with a cigarette, a Styrofoam cup filled with water - to tap her ashes into, a pen, and a napkin which she would draw designs on while we talked. I don't even remember everything we talked about. The neighbors sometimes, or her family, the food she'd made the last time her family had come for dinner. I remember her making chocolate frosting once for a cake. She'd put coffee into the frosting and let me have a taste. I remember thinking it was the best thing I'd ever tasted. Friendship seemed so absent for me after all my friends moved away. As I look back on this time of my life I'm struck with how God provided for me. Just when all my friends had moved away, God arranged an unlikely friendship. My friendship with Grandma Weezie was desperately needed not only by me, but Weezie likely needed me as well. On my eleventh Birthday I was surprised when my mom handed over to me a package. "It's from Grandma Weezie." she said. I opened it up and there sitting in the brown paper was the porcelain horse I had so admired. I was stunned. Truthfully, I couldn't find the porcelain horse. Shortly after I started writing this I scoured my house and looked in all the places where I store keepsake gifts and old decorations. I turned up nothing. So, I went to eBay and searched out porcelain horses. And, there... there it was. The same horse. I purchased it in a blink. After so many moves I figured it had been lost or perhaps even donated absent-mindedly. Then, yesterday, I found it. The original. Tears started streaming down my face as I realized that I had indeed kept it - of course. The reminder of this beautiful friendship with a woman who is long since gone, but remains in my memory one of the best friends God ever sent my way. Such a beautiful memoir Mel...thanks for sharing! Oh how touching, Melissande! Beautiful story! Such precious memories. For Jessica, it was our neighbors the Paul's, or "Paweys". Never had children. Once Jess was walking, she'd make a beeline for their little house next door whenever the backdoor was unlocked and I wasn't looking. Thank for relating such a tender relationship and ime in your life. Loved reading and traveling back through my own memories... God bless you.